Fertilizing a healthy hydrangea will not cause it to bloom. If a hydrangea will not bloom year after year, there is a problem unrelated to the fertilizer. There are several reasons why hydrangeas won't bloom, but a lack of fertilizer is not one of them. This is unfortunate since we would all like a simple solution to the common problem of hydrangeas failing to bloom. Fertilizer will not change the color of the blooms. 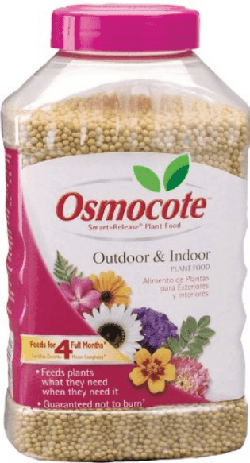 It's possible that extra ingredients added to fertilizers might change the color, but the fertilizer itself doesn't have this power. Here is more information on how to change the color of hydrangeas. When leaves on a plant turn yellow WITH green veins (as in the image on the right which is from the Texas A & M Aggie site), regular fertilizer will not improve the color. This condition usually means the plant needs iron. Yellow leaves and green veins are often the result of iron chlorosis. This is the result of either an iron deficiency or iron unavailable for plant uptake. 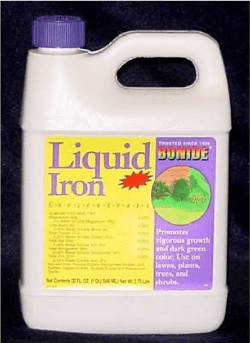 Liquid iron is inexpensive and can easily be poured or sprayed on the plant. (Any brand will do) The results is often quite dramatic.